Russell Competition Brake Line Assembly UNIVERSAL - Dezod Motorsports Inc - Home of the automotive performance enthusiast since 2002. 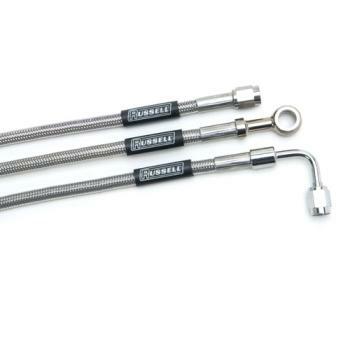 Russell Competition Brake Lines for Professional Racing Applications are built to the same high quality standards as the rest of the Russell Lines. Choose from an array of sizes and style to fit you demands.